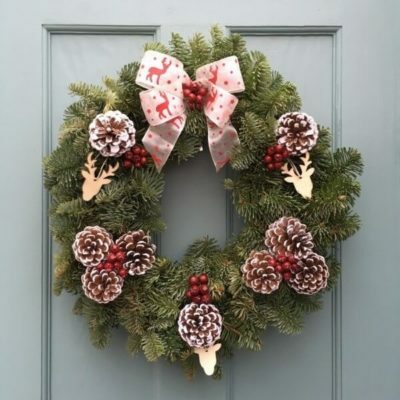 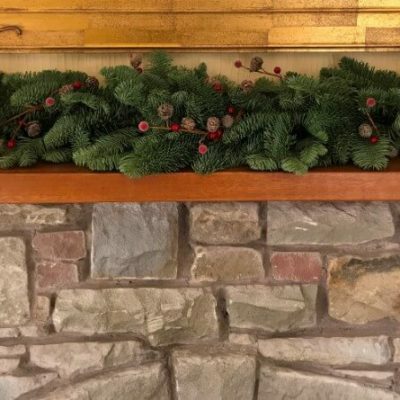 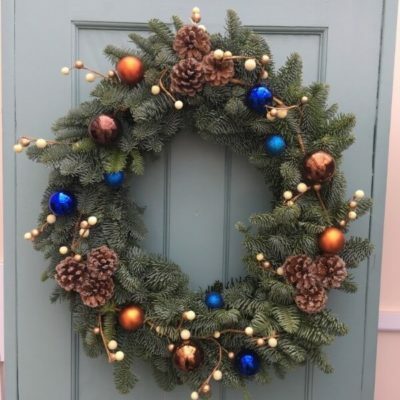 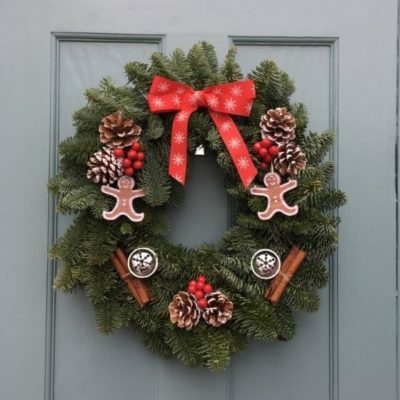 Once you've got the tree sorted, you want your home to look festive and welcoming from the outside too, and what better way than with a real Christmas wreath hanging on your door. 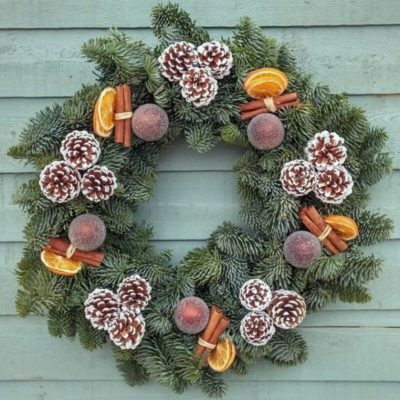 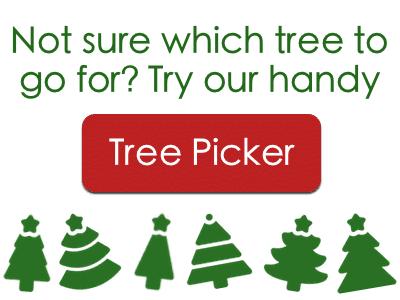 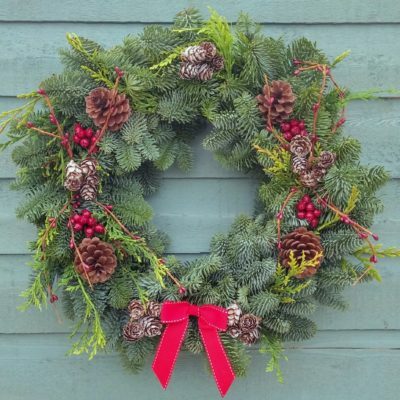 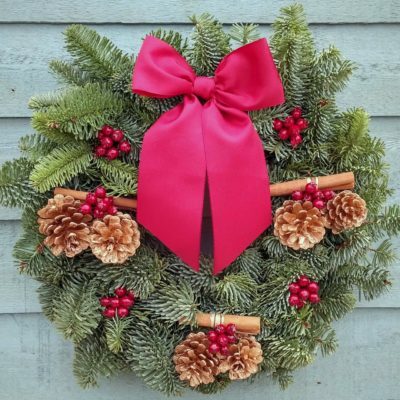 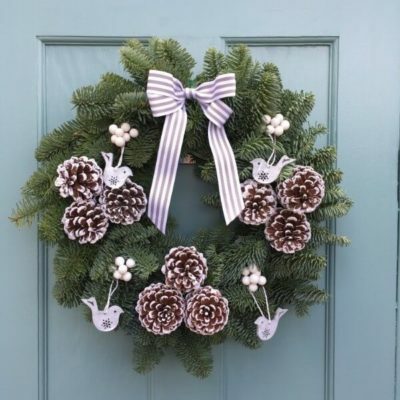 Our range of fresh wreaths are made from cuttings of Noble and Nordman Fir trees. 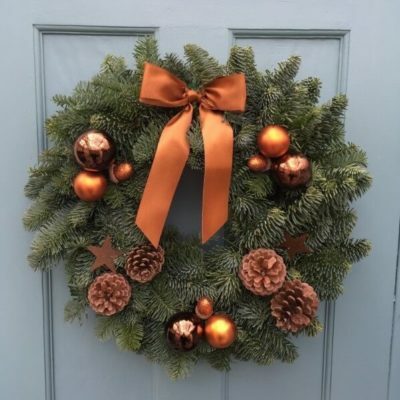 We have a range of different styles, which we change a little each year, to suit different tastes.